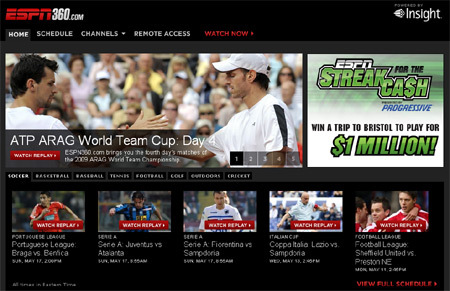 YouTube and ESPN have entered a new partnership together. YouTube’s Chris Dale gave WebProNews a few details about it in a quick phone call. ESPN will be featuring content that is apparently going to be in line with their television programming, although from the sounds of it there won’t be any live streaming, so don’t look to watch games on here (at least for the time being). ESPN360 content could be an option down the road, but it’s too early to tell at this point. ESPN 360 is the network’s online video offering that actually does offer live streaming of some sporting events (to those whose ISPs support it).